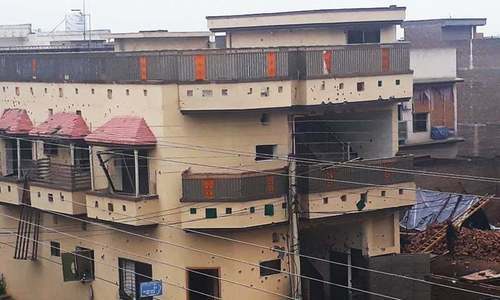 PESHAWAR: Dismissing an appeal of the provincial government, the Peshawar High Court on Tuesday upheld the acquittal of two people by an anti-terrorism court in a case regarding the distribution of pamphlets of a proscribed organisation. A bench of Justice Qaiser Rasheed and Justice Qalandar Ali Khan ruled that the prosecution failed to prove its case against the two acquitted men, including Abuzar and Shoaib Khan, both residents of Palosi area in Peshawar, and the evidence on record didn’t connect them with the commission of the offence. It observed that the prosecution didn’t prove that the pamphlets in question carried anti-state material. The bench observed that having an opinion against democracy couldn’t be call an anti-state act. The counter-terrorism department had arrested the two and registered an FIR against them on May 4, 2016 under Section 120B (hatching criminal conspiracy) and 124A (sedition) of the Pakistan Penal Code, and Section 11W (printing, publishing and distributing material inciting hatred) and Section 7 (act of terrorism) of the Anti-Terrorism Act, 1997. The CTD claimed that the accused belonged to a proscribed outfit and distributed pamphlets near Speen Jumaat Chowk instigating people and Pakistan Army against the state. An anti-terrorism court had acquitted both the accused last year and absolved them of the charges. Mohammad Saeed Khan, lawyer for the accused, said there was nothing objectionable in pamphlets. He said the Constitution guaranteed freedom of expression and everyone was free to have an opinion about the system of government they wanted in the country. The lawyer said there was nothing seditious in the pamphlets. He added that there existed nothing, which showed that his clients were printing, publishing or distributing pamphlets as no one from the general public was produced as witness. Additional advocate general Sikandar Shah said the accused were caught red-handed distributing anti-state pamphlets. He said the two accused belonged to Hizbul Tahrir, a proscribed organisation. Mr Shah said the pamphlets carried anti-state material and asked the armed forces to revolt against the democratic setup and set up caliphate in the country. Justice Qalandar Ali observed that being anti-state was different from being anti-government. Justice Qaiser Rasheed observed that having views against democracy and propagating another system of government was not a crime. He added that noted world thinkers, including Aristotle, Machiavelli and Karl Max, too, had propagated their own political theories.